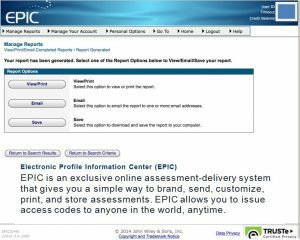 EPIC (Electronic Profile Information Center) provides a simple way to deliver profiles via the internet. Credits is the term used to describe the “currency” used in the EPIC system. Credits are needed to issue access codes for individual reports and generate group/facilitator reports. The number of credits needed to send an online code vary depending on the report’s length and content. 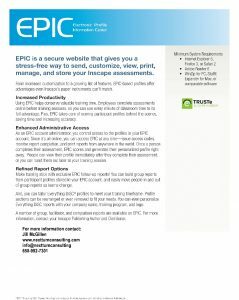 To see how many EPIC credits different reports cost, please view this document. Not sure which DiSC product is right for your needs? Contact the experts at Next Turn! We can help you choose the product(s) that best fit your needs.